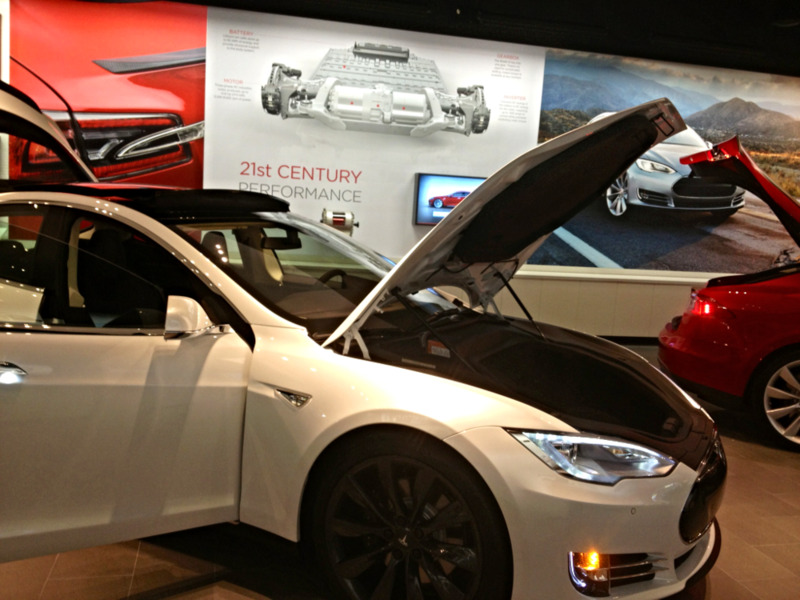 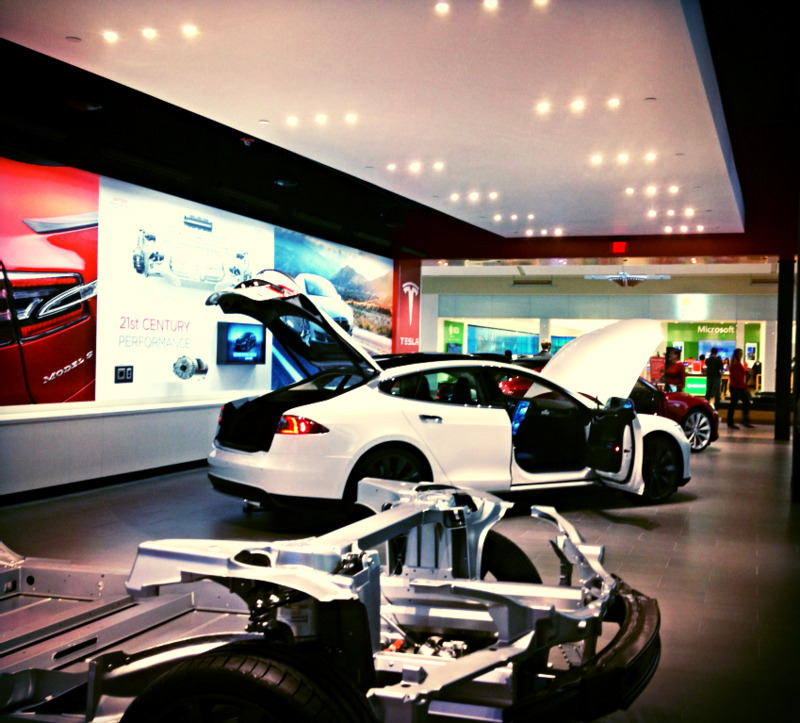 Tesla Motors officially opened at The Shops at Mission Viejo on December 20, 2013. 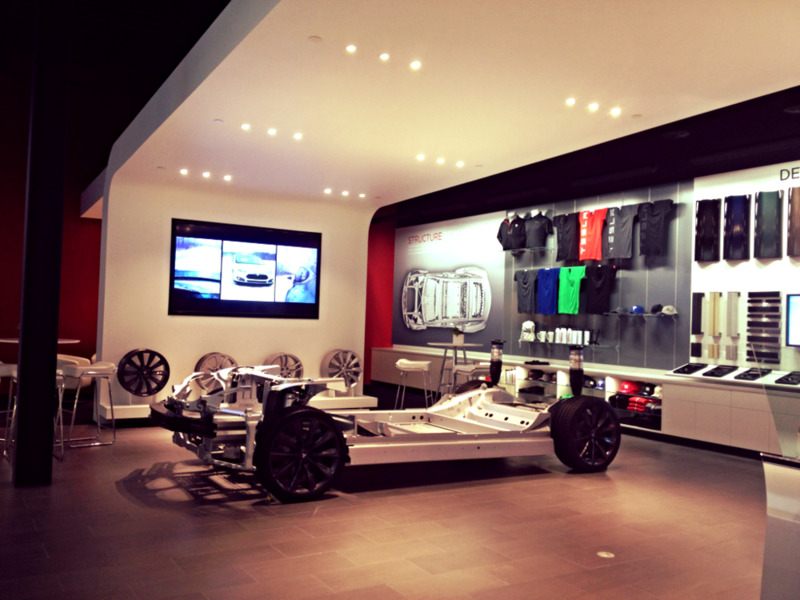 The premium electric vehicle manufacturer will showcase automobiles from the 3,000 s.f. 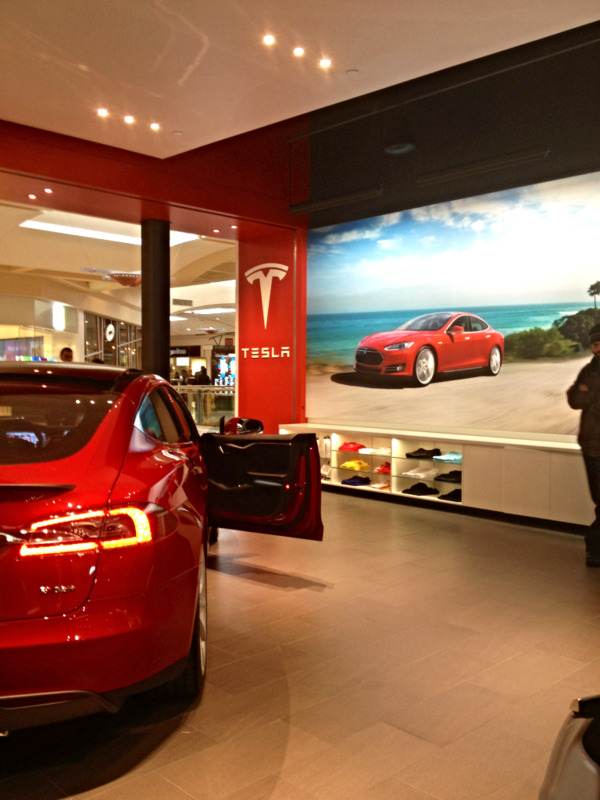 retail space which is strategically located in the mall's "tech corridor", directly opposite the Microsoft Store, and within a glancing view of the Apple Store. 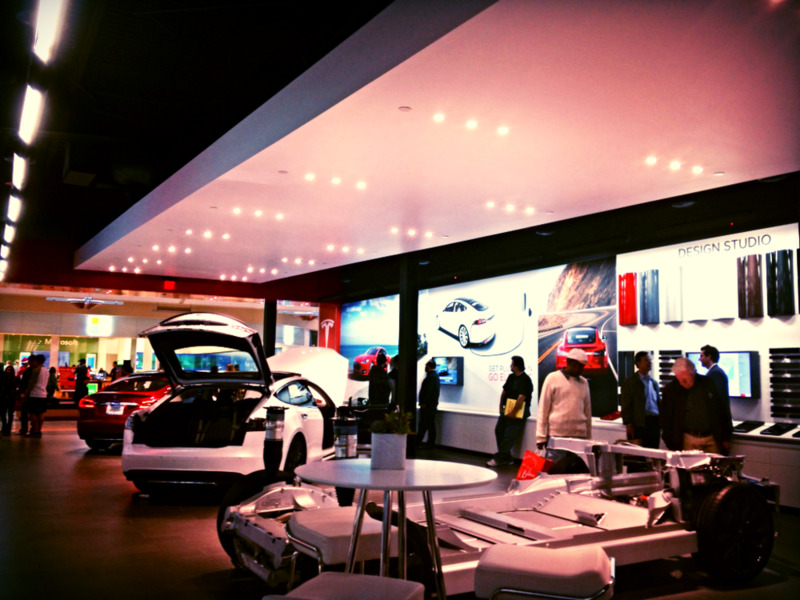 In fact, the vibe inside the Tesla store is an "electric" elixir that combines the innovative aura from the early Apple store days, with the frenzied tech showcase spirit of the L.A. Auto Show, all set to fresh remixes of house, trance, and dance music. 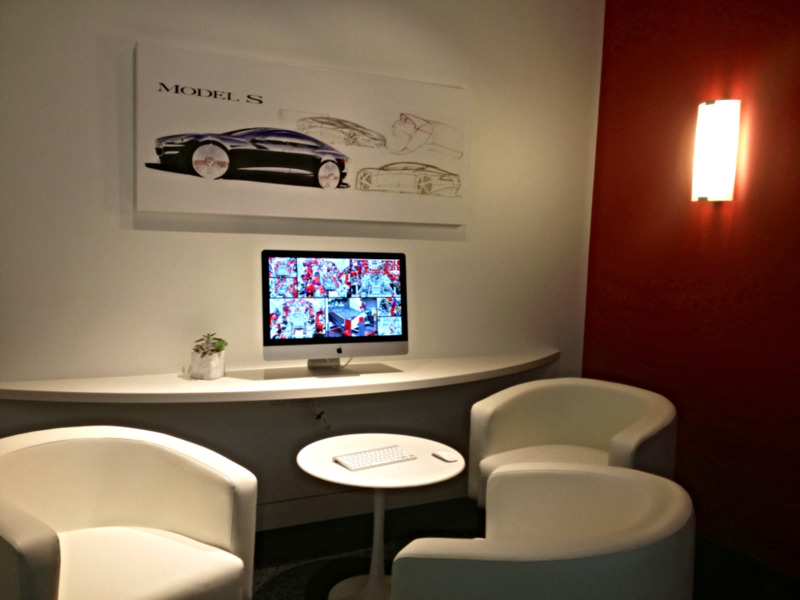 Readers of this blog will notice the base interior design concept is strikingly similar to our work on 24 Productions - sleek clean lines, exposed black ceiling with a built-in hard lid feature, visible structure, and element focused hues of paint. 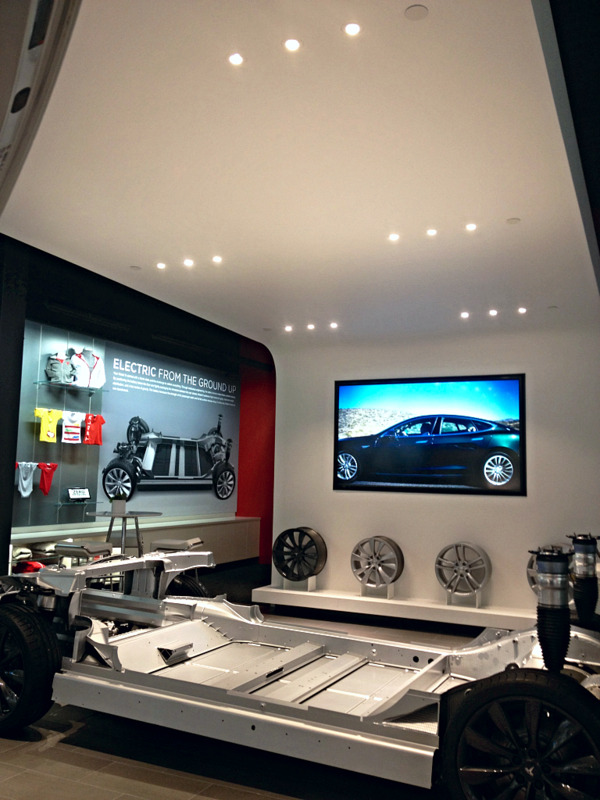 Unfortunately we can't take credit for the design of this auto-showroom, its the work of recently retired George Blankenship (former executive of The Gap, Apple, and Tesla).